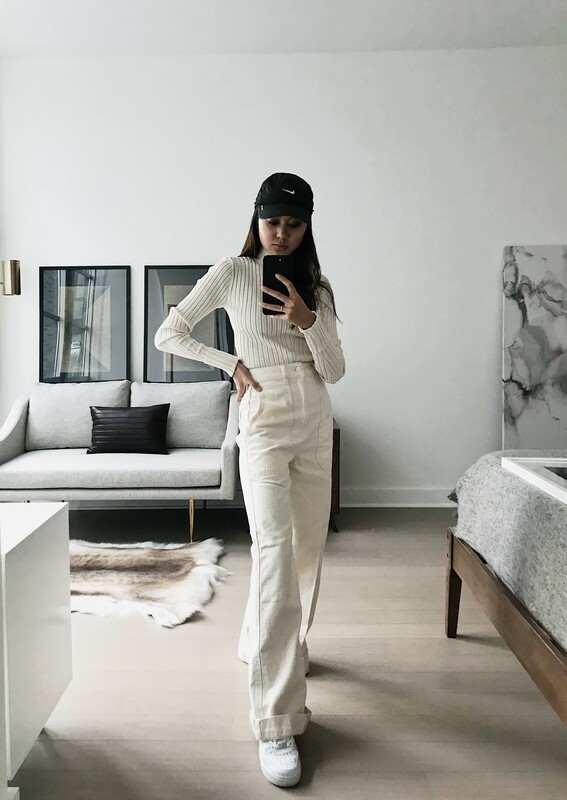 I’m sure you’ve heard of the “Capsule Wardrobe” quite a bit as more people are adopting the Danish way of life – think minimalism, less is more, hygge, which focuses on simplicity, coziness, creating warm feelings, and also puts emphasis on living in the moment and creating memories. Thus, for the most part, fussiness with fashion and interior design has been stripped to the essentials, which inevitably leads us to ask ourselves the question: what is absolutely necessary and what is not? I have been perfecting my own capsule wardrobe for years. It’s definitely challenging but truly rewarding. The best reward is being able to literally get dressed in five minutes or less. When I travel, having a capsule wardrobe helps me pack less and wear more of what I bring with me. There’s no shame in wearing a piece twice on a trip where nobody knows you, right? This is how I was able to travel to the South of France, Amalfi Coast from London and back to New York with just one carry on luggage. The hardest part comes first. My best advice when it comes to cleansing your closet is: let go of any emotional attachment you have to all your clothes. That’s still a hard one for me! But you’ve got to narrow it down to what you wear every week vs what you rarely ever wear. We’ve got two categories, now divide and conquer. As you’re letting go of the unnecessary items, keep in mind what colors you wear most often. I always gravitate towards black, dark grey and light grey, navy, tan and white. I limit myself to one or two colorful sweaters like a pale blue mohair knit or a red sweater. Why black, navy, or grey? Because I can essentially wear the same black, grey, or navy pieces every week and getaway with it. No one would blink an eye and it will always look new with small variations in each outfit. Think Steve Jobs or Mark Zuckerberg… Their closets are filled with the same tops and bottoms – for Steve it was his signature black turtleneck and blue jeans. Remember, keep the basic items that make you feel good – it could be your favorite Levis or fitted trousers. If you question an item of clothing, (whether it looks good on you, whether you can try to style it in different ways), just donate it and start fresh. DENIM: 3 blue jeans, each in a different shade from light to dark wash. 2-3 pairs of black jeans – one can have rips, one without. Or one is high waist, another is mid-waist, one is skinny/narrow leg, another is wide leg. You get the gist! Each denim should serve a purpose and be tailored to your body. This will help you to know what it will look like with different shoes, tops, etc. SWEATERS: Each black sweater should be different – different knits, weight, material, and shape. You must have at least one black sweater to start, grey, white, and camel. These are the wardrobe staples and they will go with everything in your closet. THE WHITE TEE: Always have at least 2-3 good plain white t shirts. TROUSERS: You must have a great pair of black trousers, one lightweight suit material and one wool for fall/winter. Same goes for charcoal, and navy trousers once you’re ready to expand the capsule. OUTERWEAR: For fall, start with a plain, wool, high quality black long coat. This is where you may invest a bit but you’ll have this coat forever. Make sure it is classic, has no bells and whistles, nothing too trendy. Also make sure it isn’t too tight as you’ll want to layer a sweater underneath. Once you have your classic black coat, you can also invest in one camel wool coat and one grey coat. That’s all you’ll really need. For winter, invest in one amazing long puffer or down-filled coat! Some swear by Canada Goose, others Moncler… My current black puffer is from Snowman New York. For Spring, a really good tan trench coat is a must or a lightweight long duster. Invest in a leather jacket for spring and fall. Just one leather jacket is all you need, make sure it hits right above your hip for the perfect fit. 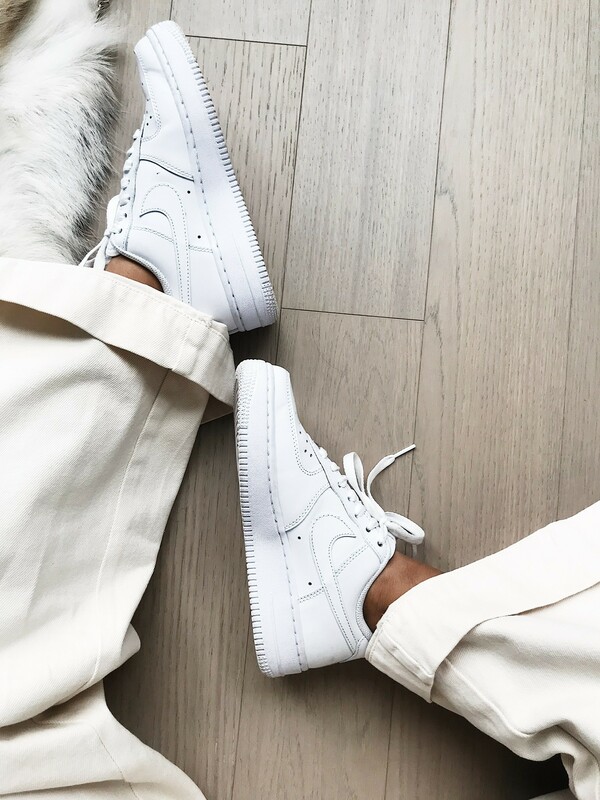 SHOES: Make sure you have one pair of really good white sneakers. My go to pair is from Common Projects. You’ll need one pair of black Chelsea boots in suede or leather, one pair of tall ankle boots that are flat and one pair with a heel. And one designer black stiletto for events. This feels like a good place to start. You can grow your shoe collection from here, of course. When you’re trying to decide whether you should buy something, ask yourself this question: Can I wear this piece in at least 3 different ways and 3 different occasions and or seasons? If not, drop it and keep it moving. And keep to your color palette! Minimalists buy less and tend to spend more on the items they buy even if it is a sweater or scarf. Reason being, if you’re buying less, might as well invest in quality items that you know you’ll wear for a long, long time. Now that you’ve cleansed your closet, built a strong capsule foundation, shopped with the disciplined mind of a minimalist, you’re free to mix and match your wardrobe staples. You’ll notice that you won’t have to set out your clothes the night before anymore – in fact, you won’t even have to think about what you’re wearing until your about 10 minutes from having to leave the house. It will remove the brain power initially needed to make this decision every morning. As I thought about this topic and lifestyle that I have adopted a long time ago in my “real daily life” rather than my “Insta-life”, I realized that it isn’t for everyone. I admire the people who aren’t afraid of color and pair bright pink with purple with as much confidence as I do when I mix black with white. 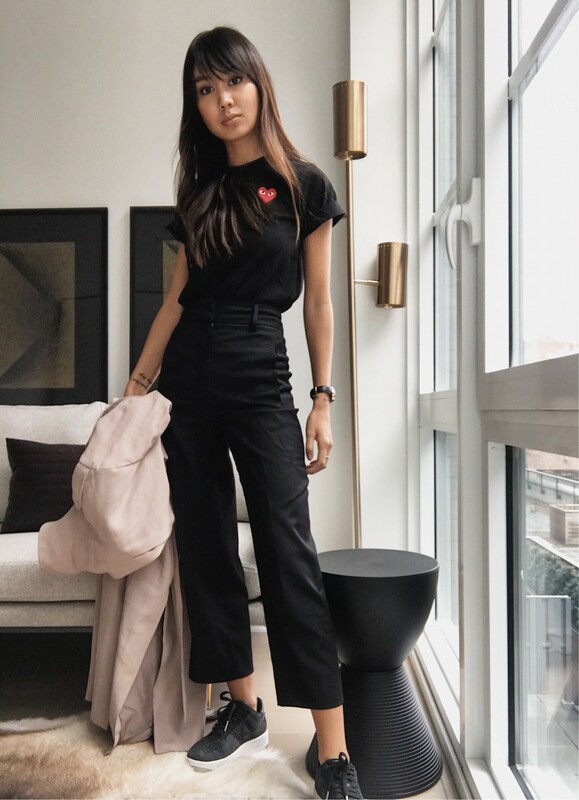 So I strongly recommend the capsule wardrobe to those who feel burdened by having to make up outfits every morning just for work, for those who are often on-the-go. 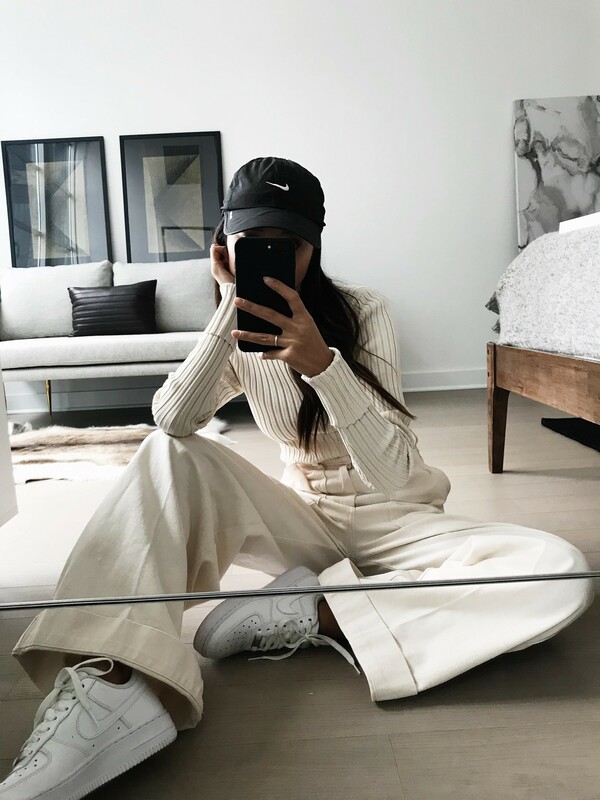 I’ve worked in the fashion industry, in-house, at a handful of big and small designers and companies and I have noticed almost everyone has their “uniform”, their own version of a capsule wardrobe. They were all too busy to think about it. What they wore had to be comfortable, utilitarian, effortless, and well put-together. That is what the Capsule Wardrobe Guide aims to accomplish.